Part three of our three-part vanadium series looks at some of the companies using vanadium to build residential, commercial and industrial-sized vanadium redox flow batteries. Part three of our vanadium series looks at some of the companies using vanadium to build residential, commercial and industrial-sized vanadium redox flow batteries (VRFBs). It also looks at the costs associated with integrating VRFBs into an energy system, as well as the costs associated with sourcing vanadium. As our previous part one and part two vanadium articles explain, the technology inside VRFBs has greatly advanced since the early 1980s. In the decades since, size has scaled down, as have prices, making VRFBs an increasingly viable option for residential, commercial and industrial energy storage. We briefly discussed the large-scale VRFBs designed to power entire energy grids that are currently under construction in China. However, there are a number of companies designing, creating and implementing smaller-scale VRFBs that could potentially transform the way cities, communities and homes are powered. Read on to learn more about some of them. Last year, when Puerto Rico was plunged into darkness following Hurricane Maria, it took a full 11 months before the entire country had electricity, a timeframe that could have been drastically reduced if the country’s energy grid was powered using energy stored in a VRFB system. CellCube (CSE:CUBE), an energy storage company specializing in modular VRFB units, believes its product could have prevented the mass casualties and months of darkness that resulted from Puerto Rico’s dated and insufficient grid. “With our installation base we have covered the universal capability of flow batteries,” said Stefan Schauss, executive director at CellCube. Toronto-based CellCube has been developing VRFBs for a decade and has installations in 24 countries around the globe. The majority of the company’s VRFB energy storage systems are installed outdoors. VRFBs, unlike lithium-ion batteries, can perform without degrading or raising safety concerns in a wide variety of settings, making them an ideal choice for residential, commercial and even industrial use. While Puerto Rico remained dark for almost a year, Schauss sees the recovery as an opportunity for the country to modernize its entire system. “They really have the chance under the US to have the most modern grid,” he added. In fact, the advent of VRFBs for large-scale energy storage offers the potential for any developing nation to leapfrog western nations that are more energy secure and less likely to make widespread changes to their energy storage grids. “That’s already happening,” explained Schauss. Offering reliable, undisruptable energy solutions is one of the benefits of VRFBs, and another is the ability to integrate them into green energy systems and grids. New York-based private company StorEn Technologies is aiming to bridge the gap between green energy sourcing through wind and solar, and energy storage with its VRFB systems. “We are happy to contribute to reducing global warming with a 100-percent sustainable technology,” said StorEn Founder and CEO Carlo Brovero. The fact that the vanadium used in VRFBs can be extracted and easily reused in the construction industry as a steel alloy is also enticing. For Brovero, VRFBs are the energy storage solution that residential clients and commercial consumers need. As he pointed out, VRFBs have a number of pluses, such as strongly demonstrated fundamentals, great room for technological improvements, a long cycle life of 25 years, nonflammable and non-explosive electrolyte, no decay in capacity over time, no memory effect and no self discharge. Demand for vanadium has always existed — the industrial metal has been a critical element in enhancing the strength of steel as an alloy. In recent years, with vanadium being used in the energy sector, the price has begun an upward ascent. Just a few short years ago, the price of vanadium sat at roughly US$3 per pound; today the price has climbed by US$23 up to US$26.90. Since the end of August, the price of vanadium has climbed by almost US$7 and it continues to trend higher — however, the rise it may be short lived. “The price of vanadium pentoxide has spiked several times in the last years then reduced — this is the combined effect of trying to catch up with demand and a little speculation — we expect the price of vanadium to come down in 2019,” said Brovero. While a high spot price is great for producers, it is less ideal for consumers and end users like StorEn and CellCube. In fact, although the cost of vanadium has been steadily increasing year-over-year, CellCube has been able to advance its product, making it more efficient and affordable. CellCube is an unique position in that it owns vanadium assets in Nevada. The company recently announced plans to spin those assets out into a newly established company called V23 Resource, which it hopes to list publicly in the near future. For companies without their own vanadium assets like StorEn, becoming vertically integrated with a reliable producer is key. But Brovero sees the long-term vanadium price coming down in the near future. That said, we may be a ways away from any price relief, as a number of North American explorers and producers all vie to become the first North American vanadium producers. 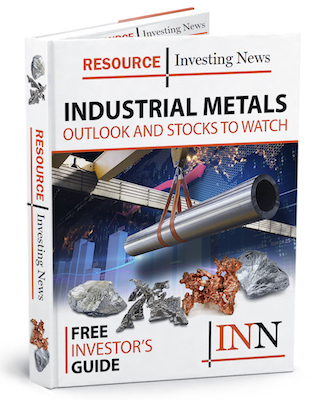 In recent weeks, we have seen Energy Fuels (TSX:EFR,NYSEMKT:UUUU) as well as other companies talk about an interest in restarting or setting up vanadium production in the US. According to Brovero, the US isn’t the only country either. “I read Canada intends to focus on vanadium mining too,” he noted.